Preserved gall mites in amber found encased in rocks at the base of mountains in Italy. Today Creation.com (Creation Ministries International) published a story about the amazing preservation of clearly identifiable gall mites. My Facebook feed proclaimed the following: “Gall mites magnificently preserved in amber ostensibly 230 million years old are just the same as mites found alive today” with a link to the story HERE. 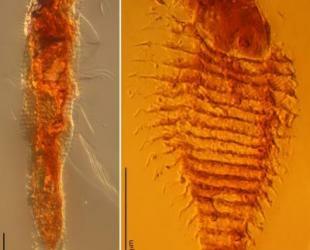 The gist of the article is not hard to understand; if these mites are 230 million years old and yet are the same as today then evolution makes no sense. As good as that logic may sound this short article exhibits many of the problems that those reporting science at CMI and AIG are often accused of. I don’t want to spend a lot of time on this but I will just point out some of the obvious issues as they relate to some recent conversations that I have had on this blog. Problem #1. Lack of scholarship involved in the writing of the article. I understand that we can’t spend 100s of hours doing background research for every article and the creation.com article was written for a non-scientific audience but I expect much more than was done here. I will have spent about 3 hours doing research and writing this post which is rather minimal but I would have hoped that the author here spent much much more time that that. The author, Shane Cessna, seems to have based his article on a ScienceDaily and FoxNews Report which themselves are just blurbs written for the public and so he was starting with a likely over-simplified story line with few details. His other references are all to other creationists articles on amber which mostly are not well researched articles in themselves. Cessna is not a scientists, as far as I can tell, but I have never been one to say that disqualifies a person from writing about topics such as this. However, given his lack of scientific credentials he needed to do a lot more background research before boldly making the statements he does. This story is not hot of the presses (it is from August of 2012) and so there has been plenty of time to really read the original publications and see if they fit his thesis. Drawing made from one of the mites encased in amber. This is from the PNAS article found in the references. They cannot be assigned to any of the three extant families, partly due to inadequate classification in this superfamily, as well as to some unusual attributes of the fossils. The very divergent body structure of the fossils indicates they are distantly related, which is further supported by Triasacarus lacking integrated feeding appendages. Notice the “unusual attributes’ “divergent body structures” and “distantly related” in this? Does this mean they are not gall mites? No, they are clearly gall mites but that was the point of the big picture that the science blurbs stressed. These are similar enough that we can identify them as gall mites but are they the same as ones alive today? Absolutely not! They are so different that they can not be identified as to what family of gall mites they belong. They are placed in brand new genera and not assigned to a family. This is probably not what the lay person thinks the words “just the same” means that was used in the creation.com summary. So what does this mean? Well, they are very different from gall mites alive today but they are still identifiable as gall mites. I am sure that Cessna would believe that this still is a huge problem for evolutionary theory but if he does then he clearly is not well-versed in evolutionary theory and its expectations. It would be similar to looking at a bacteria from an ice core that was 10 million years old and saying, that still looks like a bacteria so obviously it hasn’t evolved. Bacteria are not evolving into multi-cellular organisms, they perfectly well fitted for their environment and will look like bacteria for as long as things are alive on this earth. Likewise, gall mites are well adapted for their niche and evolutionary theory predicts that 200 million years from now there could well be organisms that look very similar (but not absolutely identical especially in their genomes) to today’s gall mites. 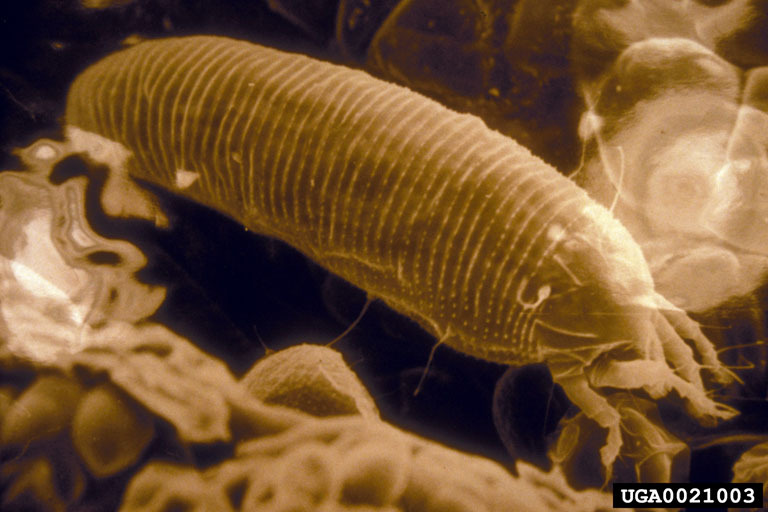 If 200 million years from now, assuming the world still exists of course, there could be gall mites why would it be shocking to find out that something like a gall mite could be around that long in the past. Nothing in evolutionary theory says that organisms are bound to evolve into things that don’t look like their ancestors. Problem #2. Once again context of the fossils is critical and yet completely overlooked! Cessna makes some statements at the end about amber and how Noah’s flood best explains amber but he clearly has no idea what the context is of these particular pieces of amber because he spent no time examining the context of the fossils themselves. I had several articles in my archive from a previous time that I talked about amber. One of these details the geological setting of these amber deposits in Italy. Cessna could not possibly have read this article or he didn’t’ understand the serious implications of the context to his claims about amber and floating mats of vegetation. I’m limiting the time I spend on this topic so I will just give the two primary facts that have to be considered and hope you see the implications: 1) ALL of this amber is found in a very thin couple meter section at the base of a mountain complex and is in a paleosol complex meaning that this is interpreted as an ancient preserved set of soils. 2) ALL of the vegetation including spores and pollen grains in tens of thousands of pieces of amber that have been examined are ALL conifers, ferns and lycophytes. There is NO evidence of a single flowering plant in this layer of preserved rock that is exposed at locations hundreds of miles away from each other. I would add that the gall mites found in the amber appear to have features that would have been adapted to conifer (pine tree) galling rather than most gall mites that are alive today which have specializations for flowering plant vegetation. In total, the context and type of organisms found in association with the gall mites at this location suggest a very specific ecology and flora that does not reflect any assemblage of plants that would be expected to be grouped together during a global flood. American Museum of Natural History. “Oldest occurrence of arthropods preserved in amber: Fly, mite specimens are 100 million years older than previous amber inclusions.” ScienceDaily, 27 Aug. 2012. I found this extremely fascinating. Thanks for the thorough analysis. I hate to say it, but sometimes it seems like there is just plain dishonesty involved in some of the creationist literature. Even granting that the author of the article had not read the scientific research, it is hard to see how “surprisingly similar” could translate into “same.” However, I just read the creation.com article and did not find the word “same” in the article.